Image: Western Australia’s largest holding of cropping country is on the market, and could be yours for a mere $80 million. Image from The West. 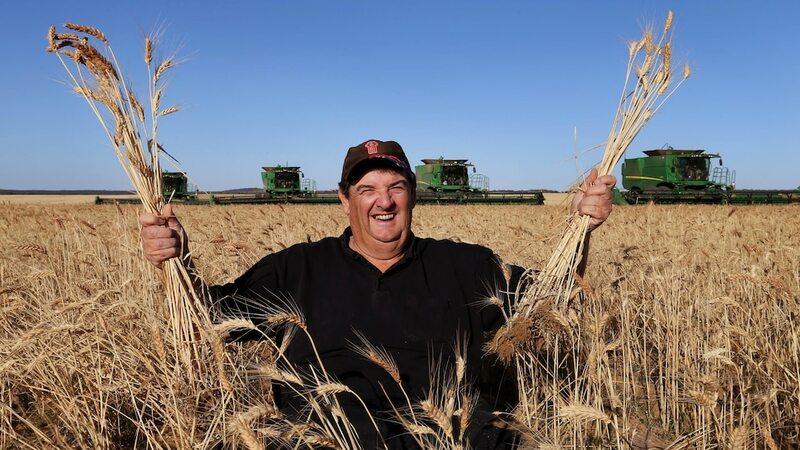 WA FARMER AND machinery dealer John Nicoletti is selling his 200,000 hectare property – set to be the biggest transaction of broadacre farming land in Australian history. The property is made up of more than 30 original farms across the West Australian Wheatbelt including 76,000 hectares of owned land and 127,000 hectares of leased land. The holdings also include more than 25 dwellings, 12 shearing sheds, 15,000 tonnes of grain storage near CBH’s receival site at Merredin, 50,000 merino ewes plus lambs, plant and machinery. In an effort to reduce his debt level, Mr Nicoletti sold 70,000 hectares in 2015 to CK Life Sciences for $36 million – the biggest parcel of land ever sold in WA history. The property has been leased back to Mr Nicoletti on a ten-year agreement, with the balance to the new owner. Transaction manager Damian Bryce says that there has been strong global interest in the sale of the Nicoletti property. ‘Given the level of interest we’ve had from the media, we’ve had lots of enquiries from as far as Canada, Sweden and Ireland’. ‘The preferred option for the vendor would be to sell the holdings as a whole, but we would also consider multiple transactions if that’s what the market wants,’ he said. While the property is likely to attract attention from investors, the fragility of the live export market could prompt interest from buyers seeking to secure live sheep deliveries. ‘As the properties are Middle East facing – in terms of sheep and grain it could be appealing to someone from the Middle East, or foreign funds looking to invest and there are not many assets of this quality and scale to invest in’. A flock of 50,000 merino ewes plus progeny has been built up over the last few years, but according to Mr Nicoletti his decision to sell the property is not linked to the live export saga. ‘There is an upheaval and a live export ban would affect prices, but the good thing is there is not abundant numbers of sheep in WA, and the wool price is at record levels’ he said. The sale includes up to 80,000 hectares of sown crops this year, depending upon opening rains. The vendor will continue to be linked to agriculture through the operation of his John Deere dealership – Ag Implements, which has branches in five towns across the Wheatbelt.